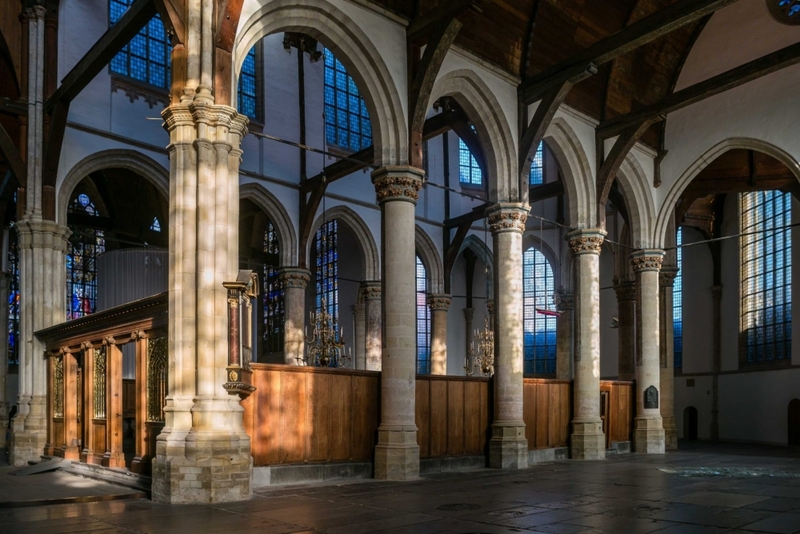 From November 24, 2018 to April 29, 2019, the Oude Kerk will function as a music temple in which everything revolves around a sound-based work of art by Janet Cardiff and George Bures Miller. Through their sound installation the international renowned artist duo will subsequently investigate the relationship between heritage, architecture, sound and audience in the Oude Kerk. For five months the sound piece will resonate throughout the church and immerse you as a visitor in a sensory experience. The questions that are central to the creation of this work revolve around the relationship between art, heritage and music. Can we imagine a music venue that exists outside the media and beyond the stage? A space in which visitors have no designated chair, but rather choose the position from which they listen and look? If the artists have anything to say about it, listeners and spectators will examine and answer this question themselves. During its exhibition, the sound installation will be the centre of the Oude Kerk’s time and space. During this period, visitors of the Oude Kerk automatically become part of a sound piece to which they, themselves, briefly make a contribution. They enter into a piece that is all-encompassing, with the sound filling the entire space. One might consider it a kind of soundtrack for the monument. Twenty-five speakers are connected to a mellotron, a mechanical precursor of the sampler that mixes ambient sounds with vocals and sounds from, among other things, the Vater-Müller Organ. The sound appeals to people’s imagination, memory and readiness to surrender. Through the mellotron, visitors will be able to ‘play’ the monumental space and determine the atmosphere and perception of the Oude Kerk. For more information, please visit Oude Kerk's website.